Bitbank is a Japanese exchange where cryptocurrencies like Bitcoin and Fiat money (exclusive for Japanese YEN) are both offered. The website could be a challenge to navigate as it doesn’t have any option for an English translation. Nevertheless, we were able to gather these steps to help you start trading Bitcoin on Bitbank. We advise that you pay attention to the icon beside each description to make sure you are making the right selection. To get started, open the Bitbank site. If it is easier, you can download Bitbank’s mobile app on the App Store or Google Play. You will then be asked to verify the captcha. Click on “Verify” to submit. 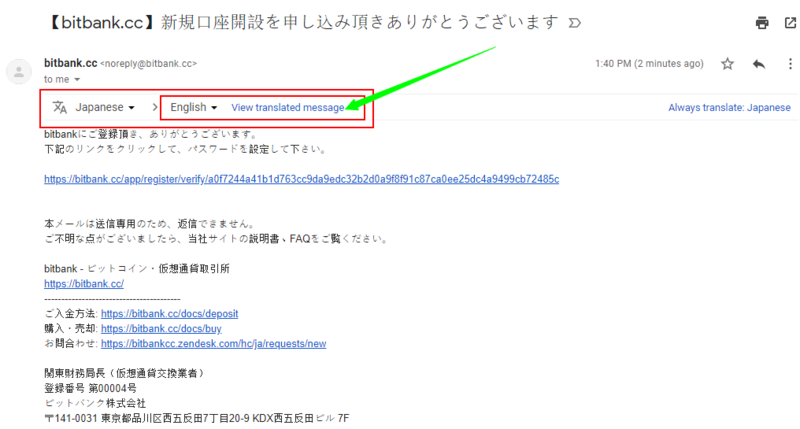 Bitbank will send an authentication email to the email address you are trying to register. Click on the authentication link. 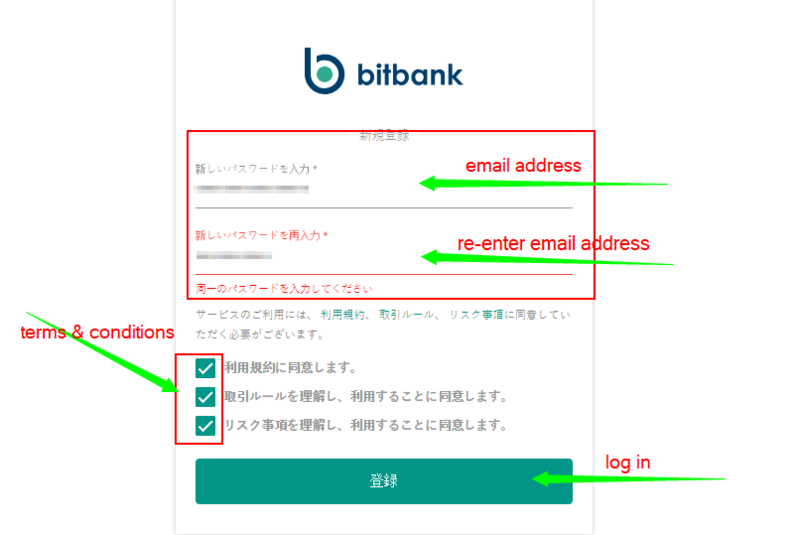 You will be routed to the Bitbank log in page where you need to enter your email address, reconfirm it, check the three boxes if you’ve agreed Bitbank’s terms and conditions, then log in. 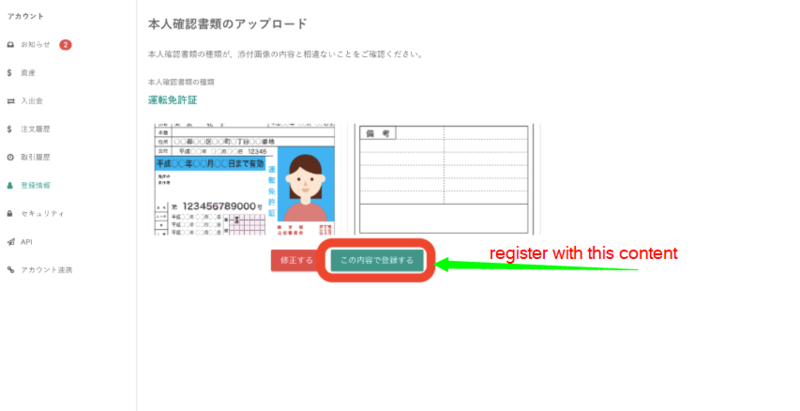 After logging in, click on the “man” icon and select the same icon at the lower-left hand corner of the page to start filling out the registration form. Click on the green box next to the “man” icon. Enter the basic information like your name, location, and date of birth on the registration page. 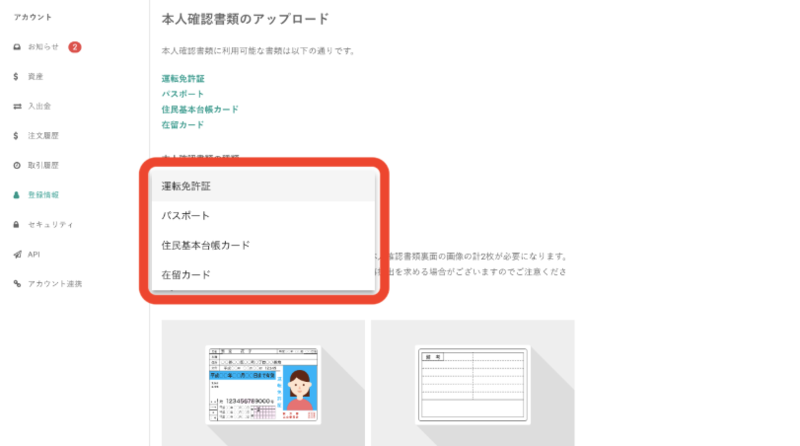 After entering the basic information, click the “Next” button. * If you fall under “Foreign Important Public Citizen”, Bitbank cannot accept account opening. Click on the “Confirm” button to continue. 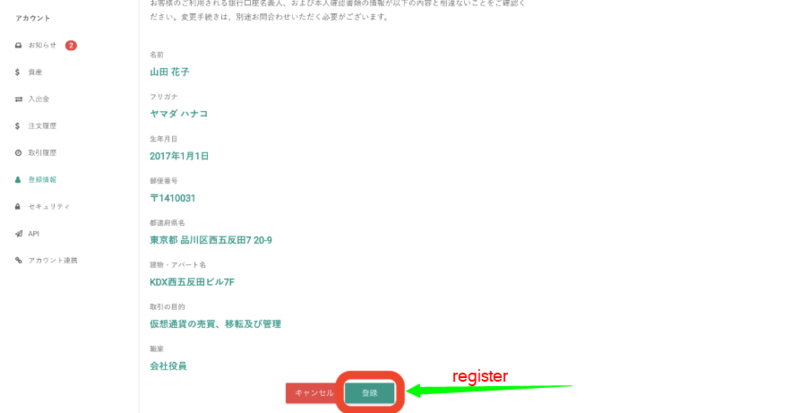 Double check the information that you entered and click on “Register” to proceed. Awesome! You have created an account on Bitbank. Get ready with a valid Identification card when verifying your identity on Bitbank. 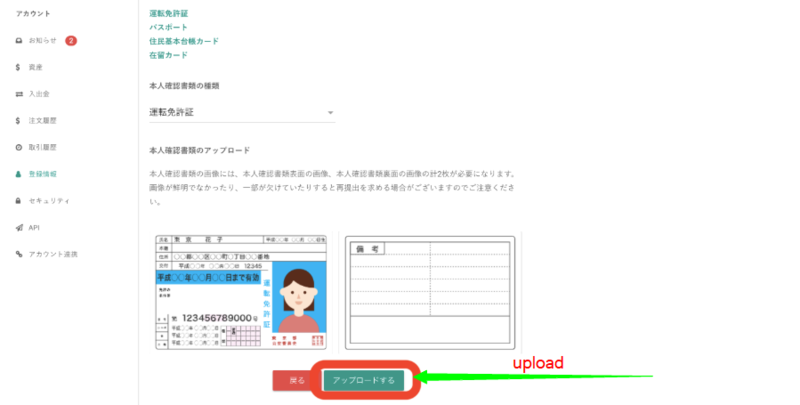 Click on the box where you need to upload your ID picture. 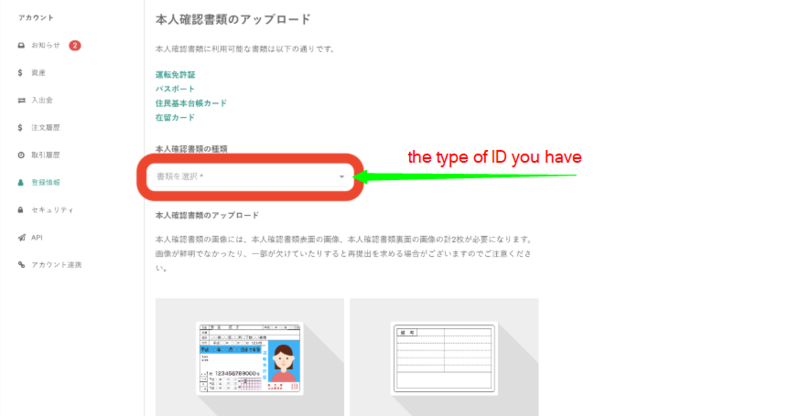 Select the type of ID you have from the drop-down menu. Select your Driver’s license, Passport, or Resident basic register card (Residence card), depending on which document is available. 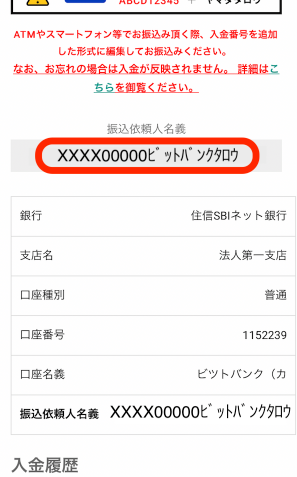 *In the case of “My number card”, select “Resident Register Basic Card” and upload only the front side. 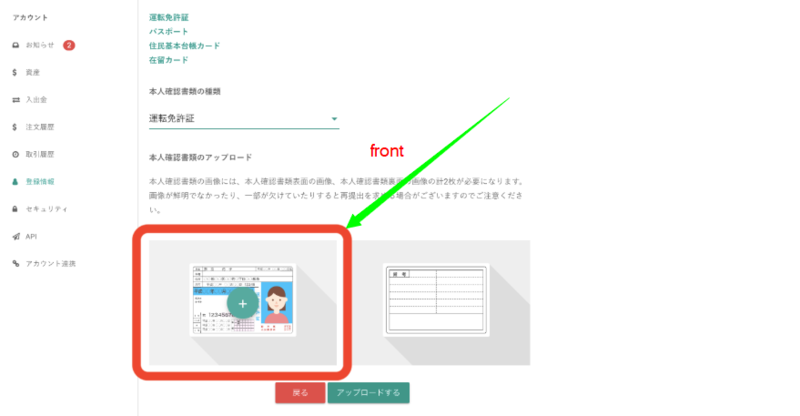 Upload the front portion of your ID. Then, upload the back area. 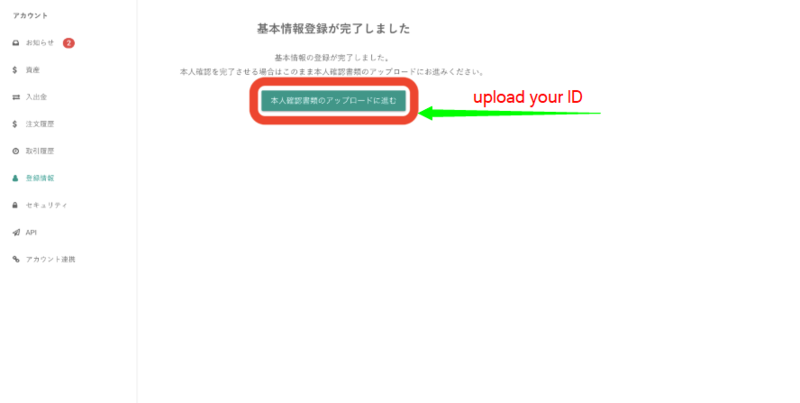 Click on the “Register with this content” button to begin uploading your document. Excellent! You have identified yourself on Bitbank. 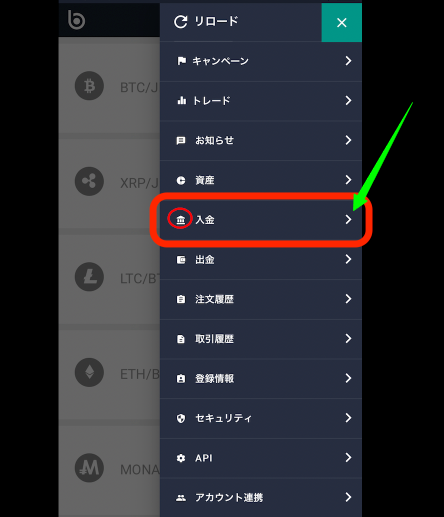 To activate 2FA on Bitbank, click on the “shield” icon and select on the second option. Perfect! You have secured your Bitbank account! Since you have completed the account confirmation and verification process, it’s time to add money on your Bitbank account. 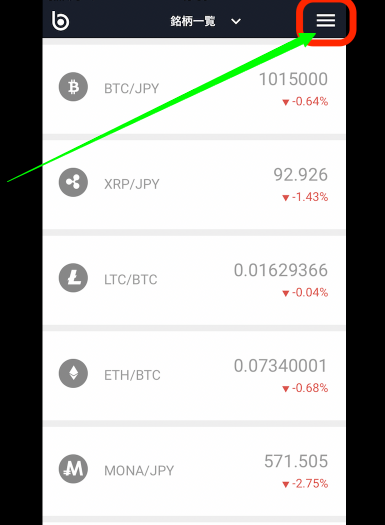 We’ve mentioned that you have the option to add cryptocurrencies like Bitcoin or Fiat money, however, the only available Fiat money currency is YEN. In this example, we are using both Bitcoin and YEN. Click on the Fifth option from the top. Select on “deposit” next to the currency of your choice. 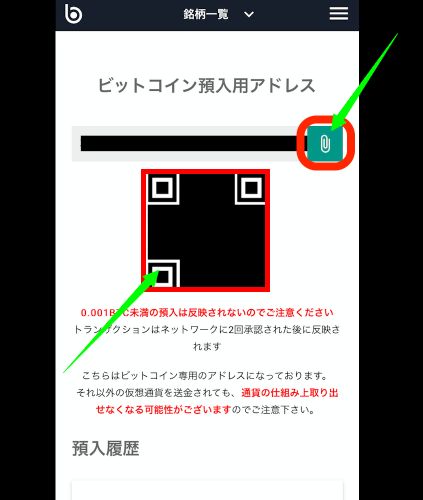 Attach the wallet address or scan the QR code to generate a new one. 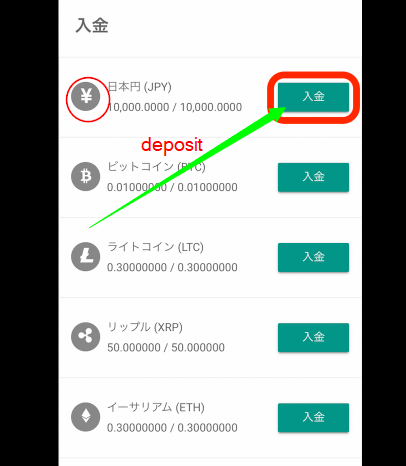 For Fiat money deposit (YEN), click on “deposit” next to the currency. You did it! You have added funds on your Bitbank account. Finally, you can start buying your first Bitcoin on Bitbank using the funds you’ve deposited! Go to the Trading view of the page to check the Markets available on Bitbank and select your currency. Recent and all transactions are available at the bottom area of the Trading page. Fantastic! You have successfully bought your first Bitcoin on Bitbank. Transferring Bitcoin from Bitbank to other exchanges. How to transfer Bitcoin from Bitbank to Bits Blockchain? How to transfer Bitcoin from Bitbank to BCEX? How to transfer Bitcoin from Bitbank to B2BX? How to transfer Bitcoin from Bitbank to Upbit? How to transfer Bitcoin from Bitbank to Coinfloor? How to transfer Bitcoin from Bitbank to QuadrigaCX? How to transfer Bitcoin from Bitbank to HADAX? How to transfer Bitcoin from Bitbank to OEX? How to transfer Bitcoin from Bitbank to LBank? How to transfer Bitcoin from Bitbank to Fisco? How to transfer Bitcoin from Bitbank to Qryptos? How to transfer Bitcoin from Bitbank to Coinone? How to transfer Bitcoin from Bitbank to BTCBOX? How to transfer Bitcoin from Bitbank to OOOBTC? How to transfer Bitcoin from Bitbank to CoinTiger? How to transfer Bitcoin from Bitbank to Bitstamp? How to transfer Bitcoin from Bitbank to Dragonex? How to transfer Bitcoin from Bitbank to RightBTC? How to transfer Bitcoin from Bitbank to GetBTC (FIAT to BTC)? How to transfer Bitcoin from Bitbank to EXX? How to transfer Bitcoin from Bitbank to gate.io? How to transfer Bitcoin from Bitbank to Exrates? How to transfer Bitcoin from Bitbank to CoinsBank? How to transfer Bitcoin from Bitbank to bitFlyer? How to transfer Bitcoin from Bitbank to Kraken? How to transfer Bitcoin from Bitbank to Coinbase? How to transfer Bitcoin from Bitbank to Gemini? How to transfer Bitcoin from Bitbank to Indacoin? How to transfer Bitcoin from Bitbank to 1BTCXE? 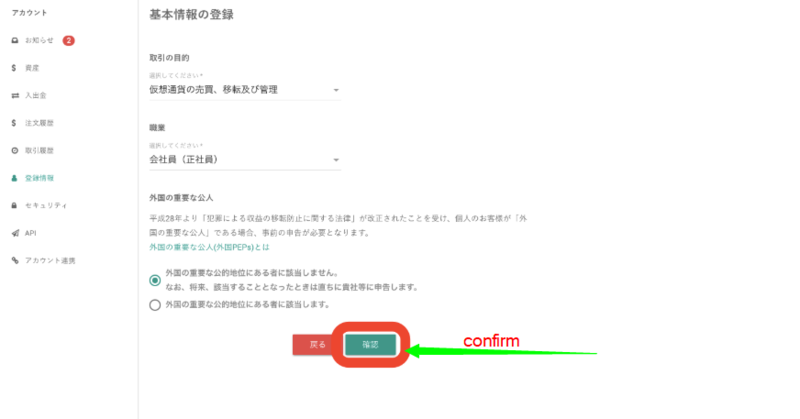 How to transfer Bitcoin from Bitbank to OKCoin? How to transfer Bitcoin from Bitbank to MixCoins? How to transfer Bitcoin from Bitbank to itBit? How to transfer Bitcoin from Bitbank to BTC-Alpha? How to transfer Bitcoin from Bitbank to Bithumb? How to transfer Bitcoin from Bitbank to BitBay? How to transfer Bitcoin from Bitbank to Lykke? 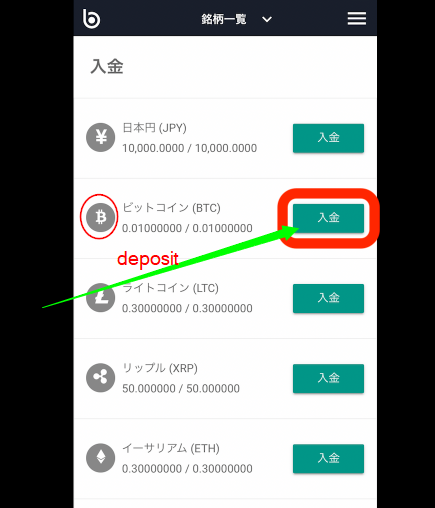 How to transfer Bitcoin from Bitbank to Independent Reserve? How to transfer Bitcoin from Bitbank to EXMO? How to transfer Bitcoin from Bitbank to DSX? How to transfer Bitcoin from Bitbank to LiveCoin? How to transfer Bitcoin from Bitbank to LakeBTC? How to transfer Bitcoin from Bitbank to Bitlish? How to transfer Bitcoin from Bitbank to BitInka? How to transfer Bitcoin from Bitbank to Bitfinex? How to transfer Bitcoin from Bitbank to ANXPRO? How to transfer Bitcoin from Bitbank to Gatecoin? How to transfer Bitcoin from Bitbank to CEX.io? How to transfer Bitcoin from Bitbank to GDAX (CoinBase Pro)? How to transfer Bitcoin from Bitbank to Allcoin? How to transfer Bitcoin from Bitbank to DigiFinex? How to transfer Bitcoin from Bitbank to Idax? 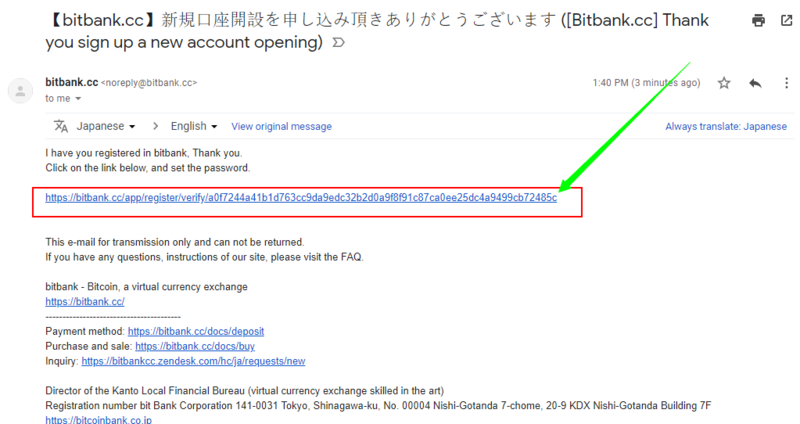 How to transfer Bitcoin from Bitbank to BitForex? How to transfer Bitcoin from Bitbank to Simex? How to transfer Bitcoin from Bitbank to Coinegg? How to transfer Bitcoin from Bitbank to Coinbene? How to transfer Bitcoin from Bitbank to TOPBTC? How to transfer Bitcoin from Bitbank to Coinsuper? How to transfer Bitcoin from Bitbank to CoinEx? How to transfer Bitcoin from Bitbank to Poloniex? How to transfer Bitcoin from Bitbank to HitBTC? How to transfer Bitcoin from Bitbank to KuCoin? How to transfer Bitcoin from Bitbank to xBTCe? How to transfer Bitcoin from Bitbank to Bibox? How to transfer Bitcoin from Bitbank to CoinFlux? How to transfer Bitcoin from Bitbank to Bittrex? How to transfer Bitcoin from Bitbank to Binance? How to transfer Bitcoin from Bitbank to YoBit? How to transfer Bitcoin from Bitbank to WEX? How to transfer Bitcoin from Bitbank to SouthXchange? How to transfer Bitcoin from Bitbank to OKEx? Transferring Bitcoin from Bitbank to wallets.